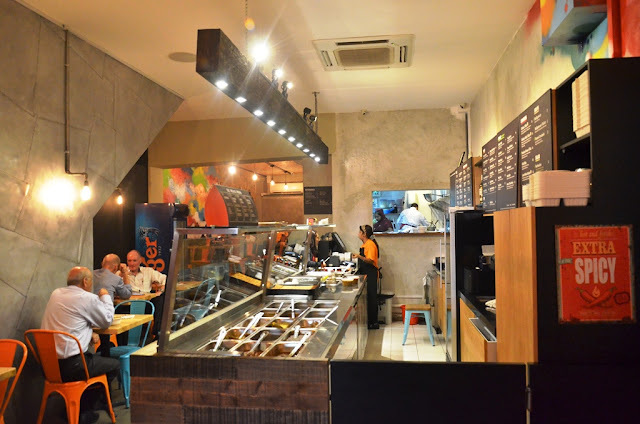 When one mentions Keong Saik Road, the immediate connection is probably cafes or bars so when we learnt that a modern Indian casual dining has popped up, it caught our attention. 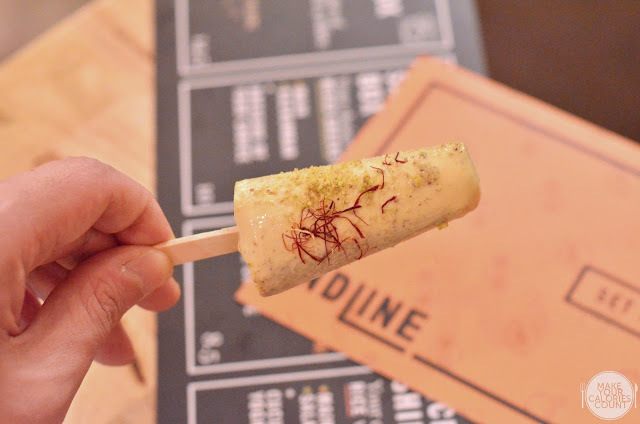 Juxtaposing the food culture on Keong Saik Road with its offering, Indline is quite a niche fit that serves up authentic Indian food. 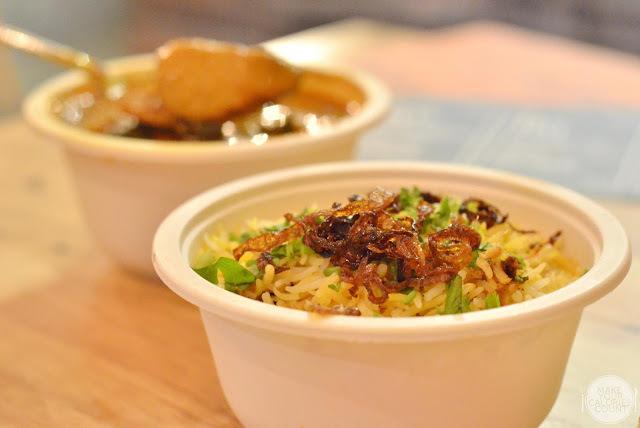 Indline's head Chef originated from India and had lived in Singapore for the last few years. Striking a cord with balancing the flavours demanded by locals while retaining the authenticity of Indian cooking, we were largely impressed with the quality of food that came at very affordable prices (GST and service charge are included in prices). 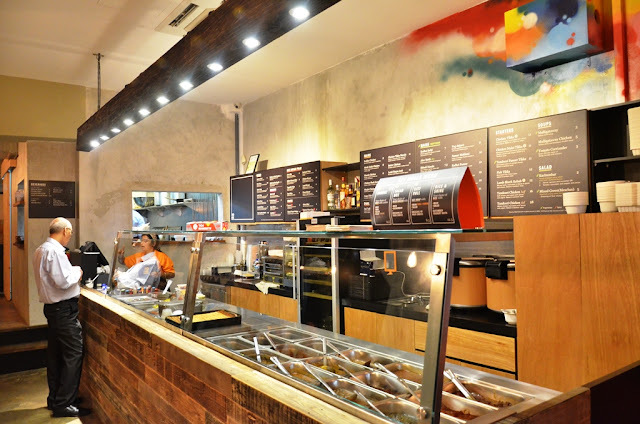 When Indline first opened doors in June 2015, it intended to target the masses with its set meals for quick service dining and takeaway orders. The demand for its food led the introduction of ala carte dishes which definitely did the Chef and restaurant justice! One of the must-try dishes includes a classic - Chicken Tikka. Boneless chicken that were marinated with spices and yogurt before being baked in a Tandoor oven, we enjoyed the tenderness and succulence of the meat. Served on a hotplate, it was sizzling hot and fragrance was in the air! Perfect as a starter to share with friends, it would go really well with a pint of beer while you wait for the savoury mains. 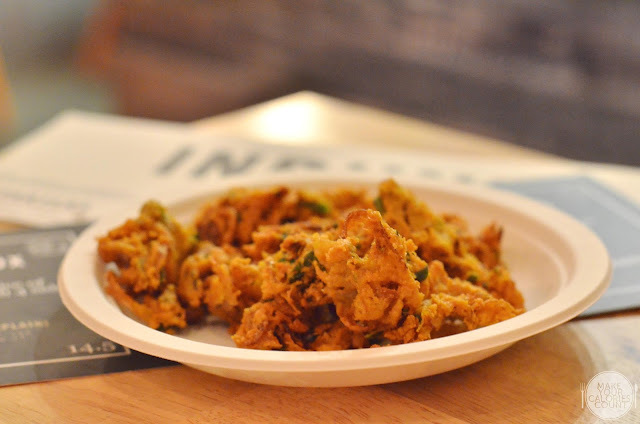 Not a stranger to those familiar with Indian cuisine, the onion bhaji comprised deep fried battered sliced onions. The golden brown delicious snacks had a lovely crunch and we unknowingly kept popping piece after piece! We were recommended the Lamb Vindaloo but unfortunately I do not take lamb dishes and the Chef specially prepared a chicken dish with the spicy curry that hid pieces of potato chunks. It was viscous and rich with various spices and an aroma which one could hardly resist. It was supposedly the spiciest curry of the lot but being a chilli fanatic, we thought that it was slightly mild for my standards and would have preferred it to bear greater heat. 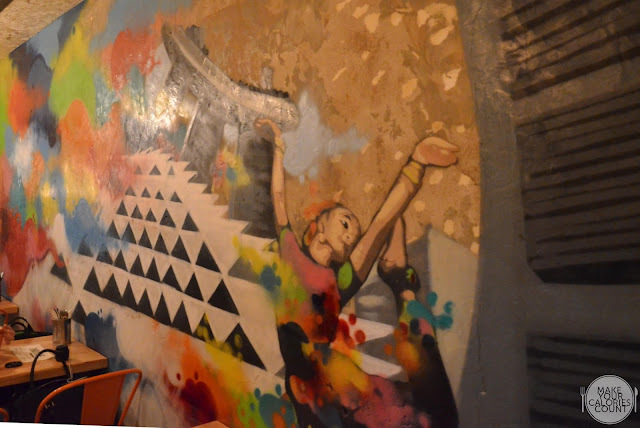 That being said, the Chef might have toned it down slightly in view of the expat crowd that patronise the area and restaurant. The authenticity and lovely balance in flavours however is endorsed by the regular Indian diners that return for its consistently good dishes. For those not familiar with Vindaloo curry, it is a popular dish in the region of Goa and is derived from the Portuguese dish came de vinha d'alhos which is a dish of meat marinated in wine and garlic. 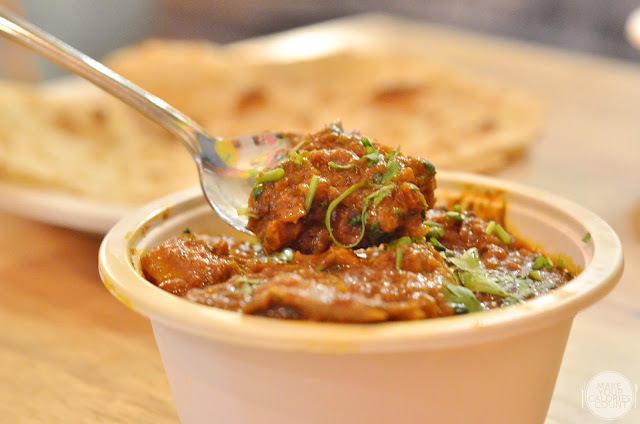 Vindaloo was evolved with modification to the dish with substitution of palm vinegar for the red wine and addition of Kashmiri chilli peppers alongside other spices. 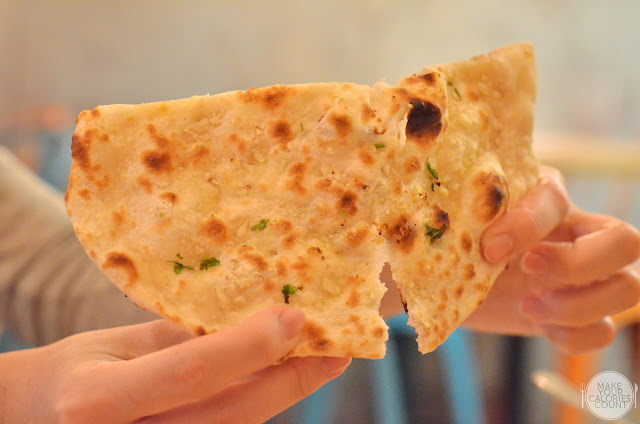 If you want something to go with your curry, look no further than a fine piece of crisp warm naan. We recommend the garlic version for extra fragrance and oomph though the plain version was equally good. Another staple from Goa, the fish curry dish was tangy and the heat grew upon us with subsequent spoonfuls. 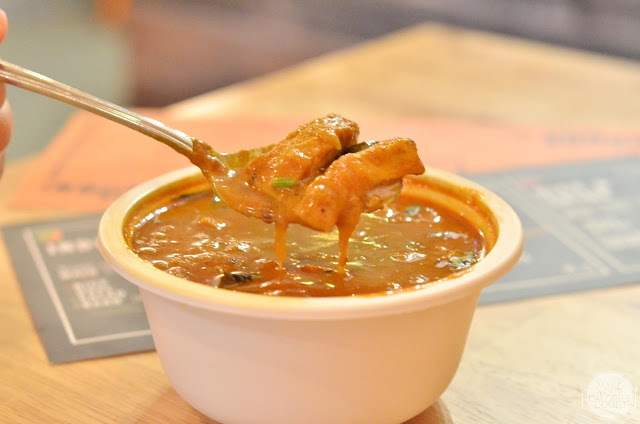 The lovely flavours from tamarind cut through the spices and heat sharply to leave a pleasant after-taste. What made the dish outstanding was not just the curry but freshness of the fish used as it made all the difference. Many regard carbs as a vice but even if you think the same, you need to give this saffron basmati rice a try! The same rice used in the biryani dishes, we loved how fragrant the rice was as saffron and the fried shallots heightened our senses. The crux was that the basmati rice was chewy which made it a very palatable dish even if enjoyed on its own. Have it with the fish curry and you will be in heaven. 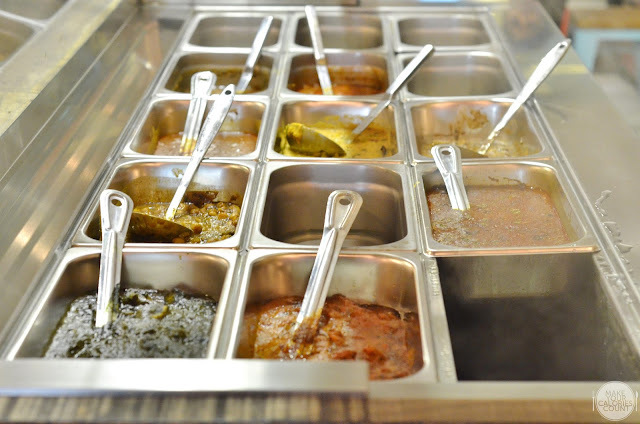 Starting out as a fast service Indian eatery, Indline specialised in set meals that would make quick meals for busy professionals and guests. 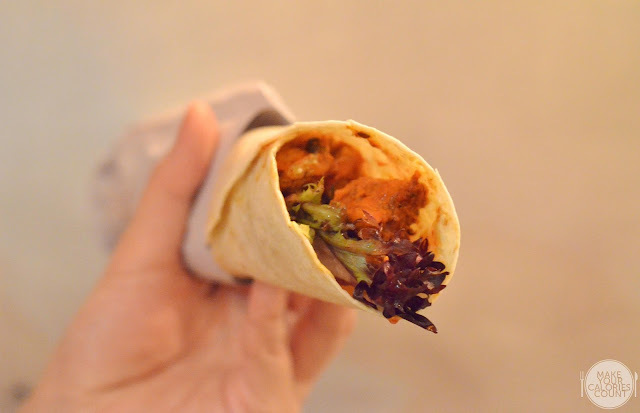 The wrap was an easy option given that it was hassle-free and could be consumed on the go. With a choice of Chicken Tikka or Lamb Kebab together with a salad and dressing of choice, it would make a filling lunch. We had the Chicken Tikka together with the classic Indian salad, Kachumbar, which was a chopped spicy salad with carrots, sprouts and cucumbers. 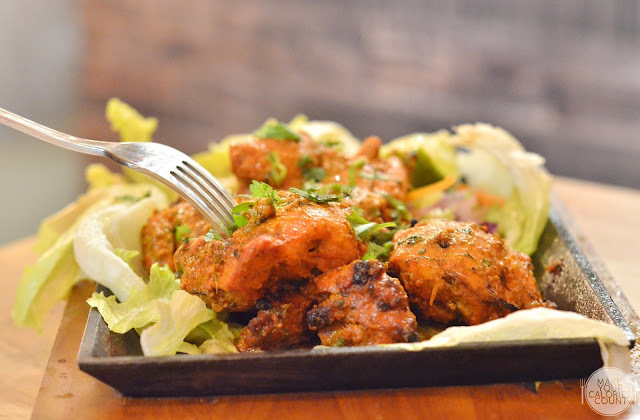 The balance in flavours where the heat from the chicken tikka was neutralised by the acidity and freshness of the greens made it a preferred takeaway meal option. No meal is complete without good desserts and Indian cuisine is no exception. This ice cream was hand made from milk together with ground pistachios and almonds which gave a nice dimension of granularity with each mouthful. The saffron and other spices added to the ice cream also carried a lovely fragrance and before we realised it, it was gone! 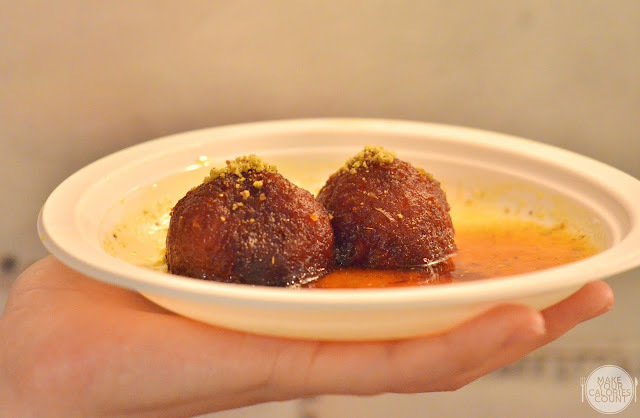 The two balls of milk solids were deep fried and served with sugar syrup. While popular in South Asia such as India and Sri Lanka, it is also a common dish in Mauritius and the Caribbean countries such as Jamaica. Traditionally made from freshly curdled milk, the milk solids were prepared by heating milk over a low flame for an extended period till the water content had evaporated. The remaining milk solids were then kneaded into a dough and moulded into ball-like spheres before being deep-fried at 148 degrees celsius. The sugary syrup was flavoured with cardamom, rose water and saffron. While the dish is guaranteed to fix one's sweet tooth, it might be too much for some. These flattened balls of cottage cheese were soaked in cream and flavoured with cardamom. While it might not look the most photogenic or appetising when served on a disposable plate as such, this sweetmeat has been described as a cheesecake without a crust. 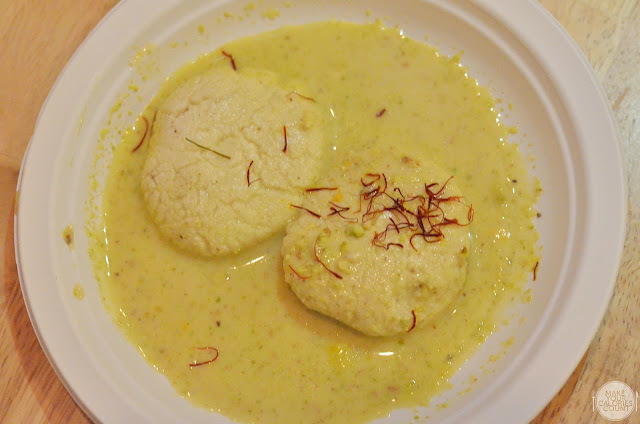 It was believed to have originated in West Bengal in 1930 and is one of the most famous desserts in the region. In terms of flavours and taste, it was undoubtedly sweet and while small quantities worked fine for our palates, anything more might be quite satiating. 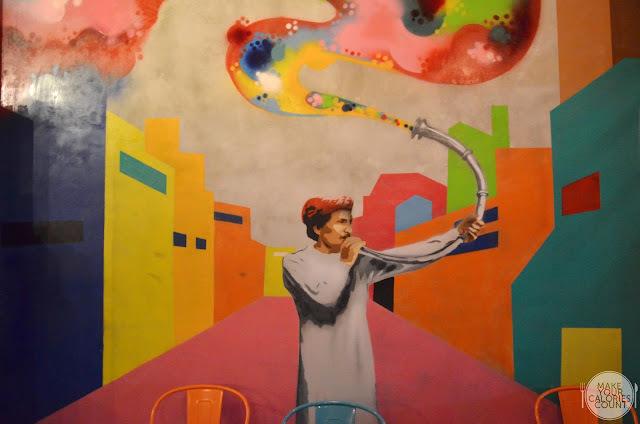 With an illustrious interior that saw colourful sketches, it gave a vibrant and casual touch to the otherwise dull and traditional Indian restaurant settings. We also observed that expats and Indians are the typical patrons to Indline. Quite frankly, given the complexity in Indian dishes, it would be hardly appropriate for us to say we know how to differentiate a good and a very good curry. At its price point, we know for a fact that the dishes are a bargain in exchange for some calories-worth dishes!